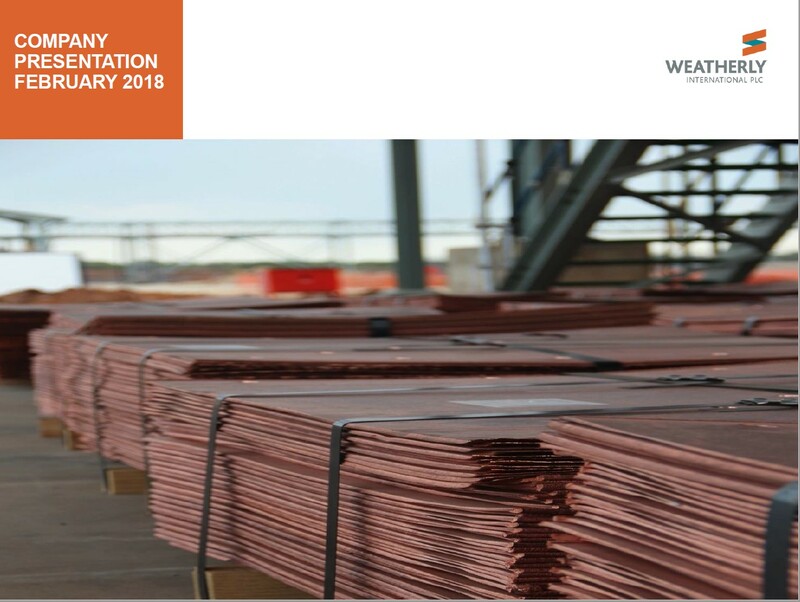 On 1 June 2018, Simon Kirkhope and Andrew Johnson of FTI Consulting LLP were appointed as Joint Administrators of Weatherly International Plc (“WTI”). The Administration appointment relates solely to WTI with all other entities within the Group remaining outside of an insolvency process and continuing to trade under control of their directors. The Joint Administrators will work closely with the management of the subsidiary entities to establish the optimal strategy for the Group with a view of maximising recoveries to creditors of WTI. Should you wish to contact the Joint Administrators please do so on WTIShareholders@fticonsulting.com or 020 3727 1616.